The Tallahassee Community College and Foundation of California are an opening ceremony Tuesday for a new Holocaust exhibit opening at the college. The opening ceremony is Tuesday, 6 p.m., at the college, 444 Appleyard Drive in the WD Building, Room 105. The free event will showcase the traveling exhibit called, "The Courage to Remember." 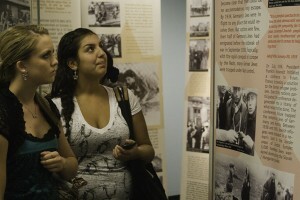 The exhibit will be on display until Jan. 30 and features more than 200 photos from the Holocaust. Check back at tallahassee.com for more on this story.